It's what's under the hat that counts! 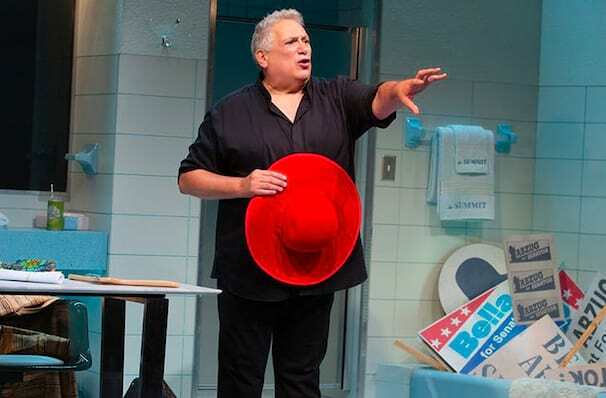 Prepare yourself for the Off-Broadway return of the gravel-voiced luminary of stage and screen, Mr. Harvey Fierstein, as he brings the story of New York icon Bella Abzug to the Manhattan Theatre Club this fall. A world premiere, the brand new play both written by and starring Fierstein and directed by Kimberly Senior will take us back to 1976 where the be-hatted political and feminist firebrand nervously awaits the results of her bid for the US Senate - a role, if she's chosen, she'll be the first woman to fill. Known for her larger-than-life character and unflinching dedication to women's rights, equality and social activism, Abzug was one of the city's most recognizable faces during the '70s and '80s. Included as one of Time magazine's 2017 list of 50 Women Who Made Political History, her legacy is still keenly felt today, alongside her taste for elaborate hats. 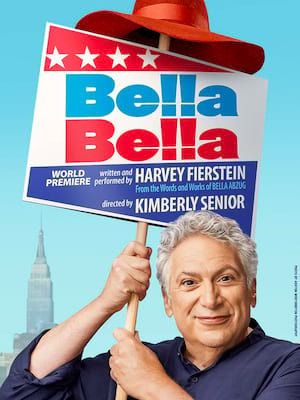 Four-time Tony winner Fierstein promises that Bella Bella will be a: "raucous, heart-rending and absurdly humorous solo show." Seen Bella Bella? Loved it? Hated it? Sound good to you? Share this page on social media and let your friends know about Bella Bella at New York City Center Stage I. Please note: The term New York City Center Stage I and/or Bella Bella as well as all associated graphics, logos, and/or other trademarks, tradenames or copyrights are the property of the New York City Center Stage I and/or Bella Bella and are used herein for factual descriptive purposes only. We are in no way associated with or authorized by the New York City Center Stage I and/or Bella Bella and neither that entity nor any of its affiliates have licensed or endorsed us to sell tickets, goods and or services in conjunction with their events.